It’s being newly speculated that Nigerian singer, Kizz Daniel is at the verge of having a baby-mama as a lady has recently called him out. 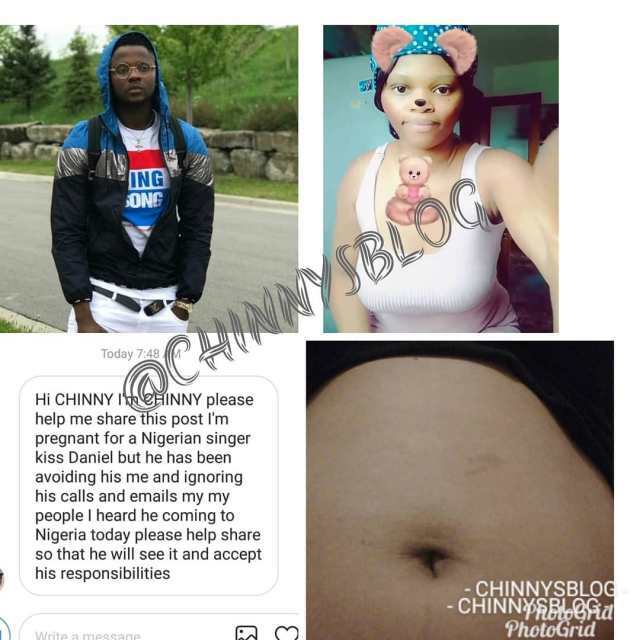 One Chinny Ubak has said that Oluwatobiloba Daniel Anidugbe better known as Kizz Daniel has put her in the family way without taking responsibility. 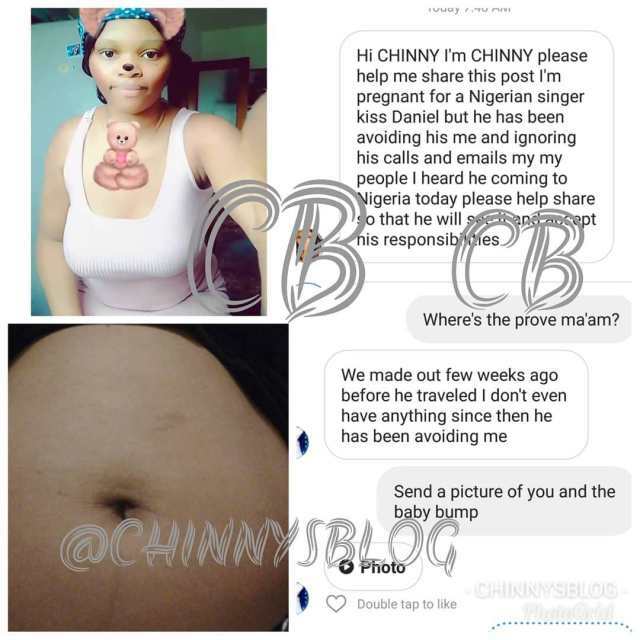 The light-skinned lady took to Instagram to disclose the news through a gossip micro-blogger, Chinny. According to her, Ogun State-born Kizz Daniel, 24, who currently is locked in a legal tussle with his former record label, G-Worldwide has been shying away from taking responsibilities as her baby bump continues to grow. The news is currently causing a frenzy online while the is yet to speak on the matter. Users have urged Chinny Ubak to provide a valid evidence to confirm her romance with Kizz Daniel. It should be noted that the singer has been over time, allegedly romantically involved with Nigerian music sensation, Chidinma, but both of them have not publicly declared if they’re having an affair.